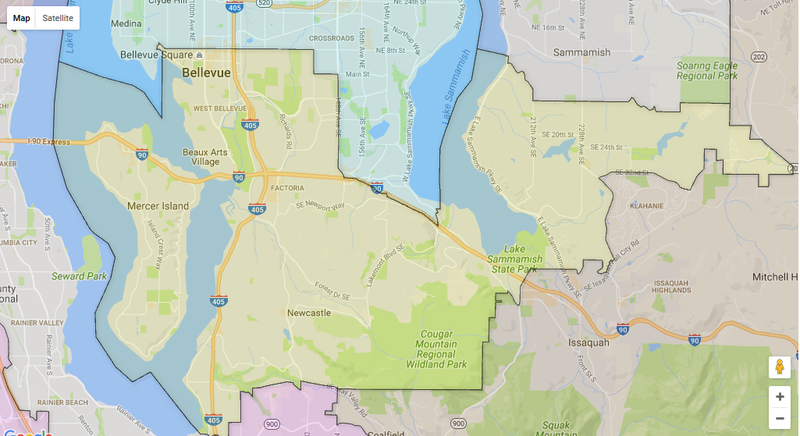 Urgent notice to residents of Legislative District 41 (Mercer Island, Bellevue, Sammamish, Renton) (Click for map): Tomorrow (Thursday) is the first of two candidate forums scheduled for your district. Come hear what the candidates Judy Clibborn and Michael Appleby have to say about issues including the I-405 Express Toll Lanes. The format will be that each candidate will make a short opening statement. Then each candidate for a specific race will be asked questions (the same question for each). Then there will be questions from the audience, and finally an opportunity for the candidates to make a short closing statement. Come meet your candidates including Judy Clibborn and Michael Appleby. Listen to them explain their positions on important issues including the #405ETL. Arrive early and talk with them one-on-one during the meet and greet period. Judy is currently the chair of the House Transportation Committee, an avid supporter of the tolls, and the one person blocking their removal. This will be a great opportunity to tell her in person how you feel about the tolls. Ask why she wants to remove the carpool lane and create 2 toll lanes and add no new general purpose lanes through Renton. Or why she won’t support 2 person carpools. Be sure to share this with your friends and neighbors in your district. ‹ 1 year of #405ETL: Are We Better Off? Please forward the information on the failure of tolling on 405 to BillBryantforGovernor.com. I am hopeful that he might realize what a disaster this tolling is for all. I fought against tolling on I-90. I feel that the tolling is in place because of the division of Tolling. It is a large department and they must justify their jobs. Craig Stone is the Under Secretary of Tolling for the State of Washington and he often lied to our faces in our dealings with him. Governor Inslee is just fine with the 45mph measurement of success and wants to expand this disaster to Renton. We deserve better from our governor. That was a timely and useful notice, especially with the district map and two simple questions. Pretty lame meeting, however. But the Mercer Island meeting could have some fireworks and they may have time for all the questions.